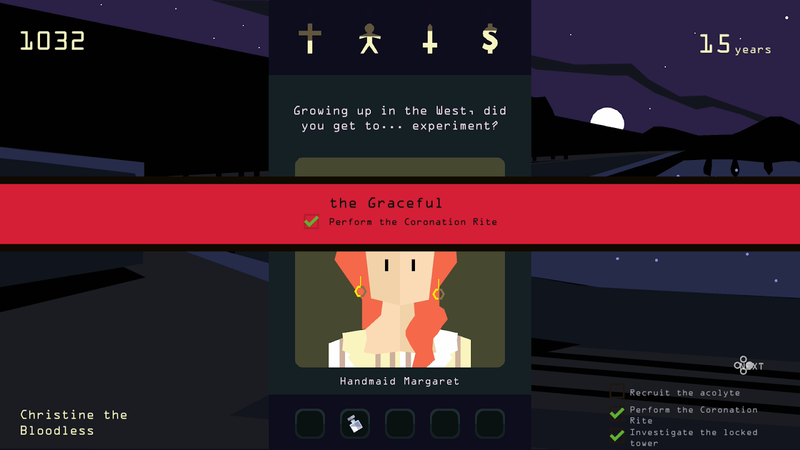 While so many games out there are focused primarily on a goal of winning there’s something to be said for titles that are instead focused on the weird and unexpected fun you’ll have along the way, even if success can only ever be relative. 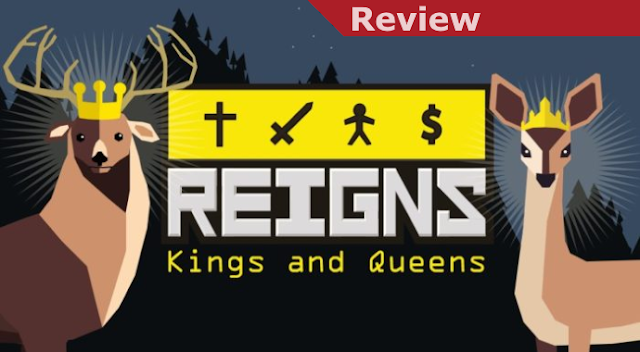 That’s very much the case for Reigns: Kings and Queens which is extremely simple on a mechanical level but delivers far more variety and enjoyment in its quick typical runtimes than far more complicated titles can muster. Though Mel Brooks infamously said “It’s good to be the King” the reality you’ll find here is that for the most part your good times will only ever be temporary before things end badly. Coming over from the mobile space the simplistic Tinder-like interface will have you making decisions by choosing the option on the left or the right. In order to stay alive the key is to maintain a balance in your four primary areas of concern: The church, the people, the military, and your treasury. If any of those either bottoms out or hits their peak it will mean curtains for you in any number of creative ways and for a variety of reasons. 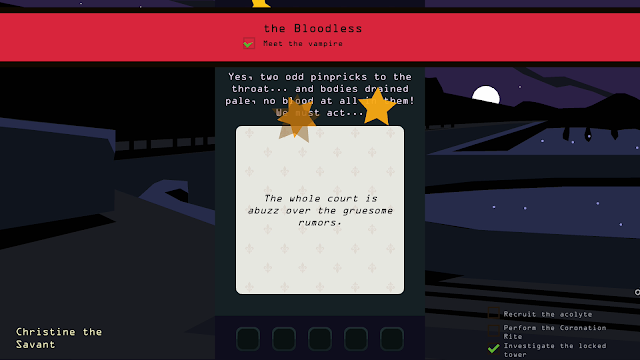 This leads to it being likely that much like in a real situation your being beholden to a variety of interests who have very different desires can mean you’ll need to choose options you normally wouldn’t prefer but are necessary for your survival. 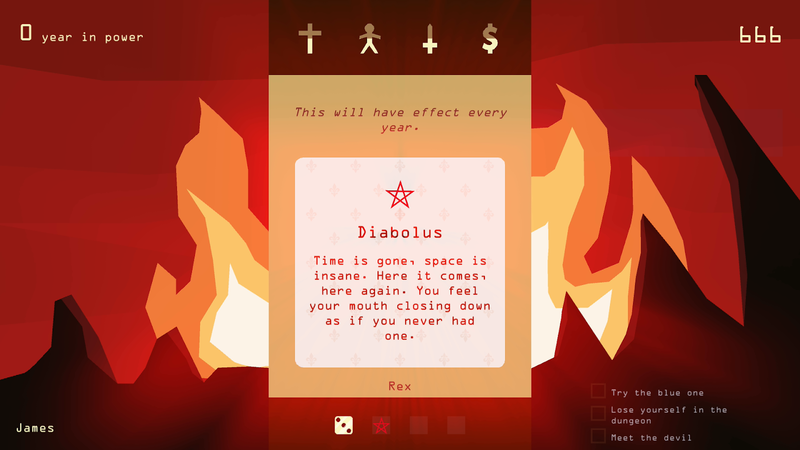 While this may all sound a bit stuffy and dry the good news is that you’ll find yourself embroiled in quite a wide variety of bizarre situations, whether it’s dealing with vampires or having a meeting with the devil. In order to keep things fresh you’ll want to keep an eye on your special objectives as they’re often the key to introducing new cards to your deck, opening up new possibilities and unexpected weirdness. The world of the being king is quite different from that of a queen, aside from including elements like dueling the kings tend to have an easier go of things. By contrast queens can seem to have an uphill battle to fight, first trying to be taken seriously and then enduring some general dialogue and situations that are very aware of the struggles women often face. If you’re looking for something full of thrills and excitement that you can play for hours upon end REIGNS will disappoint you. If, however, you’re looking for something pretty light and fun with an average play session lasting less than 10 minutes (sometimes much less) REIGNS is absolutely a terrific option. 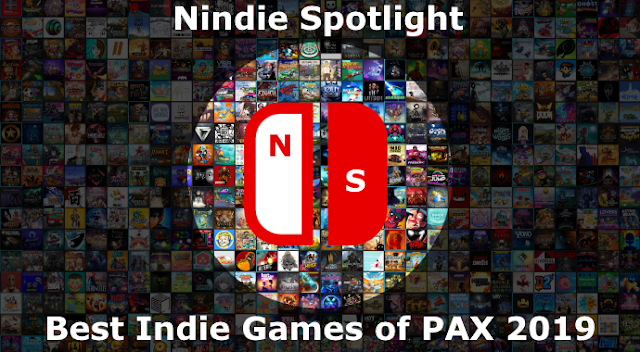 With enough humor, variety, and surprises to last you some time it may not have the appearance of a game with great depth but after just a few runthroughs you’ll likely see the brilliance that helps make it interesting and unique on Switch.